On Friday, January 23, 2015, I will be part of the 2nd Annual Ecumenical Prayer Service for Christian Unity. This year it is hosted by Lakewood Church. You are now part of the lucky who can already read my prayer today. But still: Please make time to join us on Friday at 7pm. I am free to do this hand sign right here, right now. 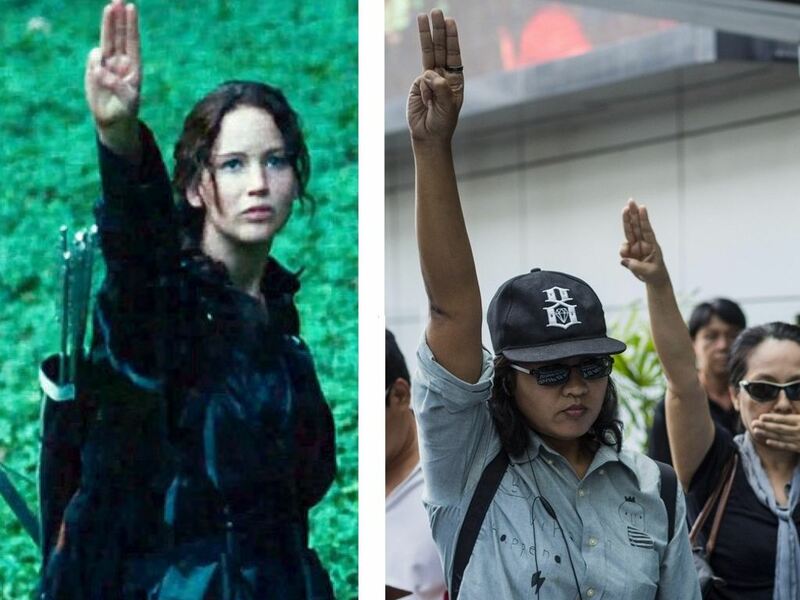 Being a demonstrator in Thailand such an act of defiance will get you arrested. Military dictatorships are afraid of movies that promote freedom of expression. Holy One: Your Word called the world into being. Your Word became flesh among us. When you express yourself in all your awesome and holy freedom everything changes. A voice like thunder, the loving whisper of a mother – a word can affect so much and you have freely spoken to all your people through the ages. When Jesus came to the Samaritan woman at the well your Word was expanded to include even those Samaritans which have never been any good. Ultimately gentiles from all around the world were called into your beloved community. Like an author publishing a book you have set your Holy Word free. when caricature educates and enlightens the political public. You call us to stand for freedom of expression: With Charlie Hebdo, with protesters in Thailand, with our Christian brothers and sisters in Brazil and all around the world. It takes loud people with radical symbols that keep on yelling: “Let my people go!” Holy One, hear our supplications that we can express so freely. Amen.